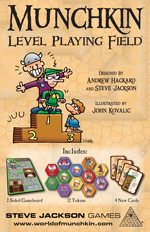 Daily Illuminator: New Releases For July! April 27, 2013: New Releases For July! Here's a list of all the cool goodies headed your way later this summer. 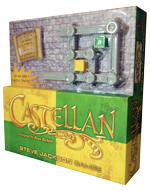 Expect to see Castellan (international edition), Munchkin Level Playing Field, and Munchkin Boxes of Holding Set 2 on store shelves this July! 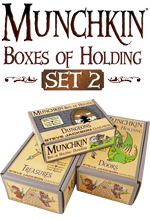 Bonus: This set includes three new exclusive Munchkin cards!